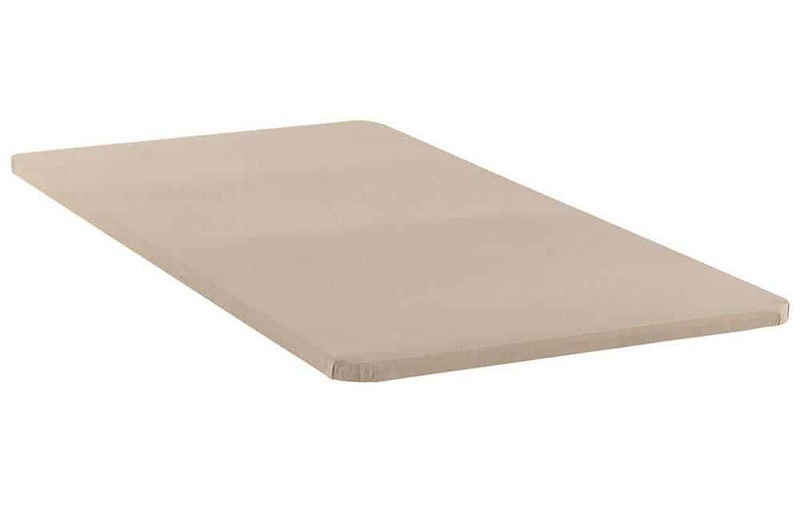 The primary purpose of a bunkie board is to support a mattress. The most common use of a bunkie board is with bunk beds, daybeds, trundle, and platform beds. A bunkie board is a thick wooden board wrapped in canvas type material or fabric. Bunkie boards are one and a half inches to two inches thick and covered in a flat color fabric. A bunkie board is used when space is a problem since it decreases the mattress and foundation total height. These three size bunkie boards twin, full, and queen are assemble in one piece board. The king and cal king bunkie boards are assemble in two piece boards. Affordhomefurniture.com is a participant in the Amazon Services LLC Associates Program, an affiliate advertising program designed to provide a means for sites to earn advertising fees by advertising and linking to Amazon.com.